You won't believe how close these low carb peanut butter cookies are to the real thing! Creamy & full of peanut butter flavor, they'll hit the spot for your sweet-tooth cravings! You won't believe how close these low carb peanut butter cookies are to the real thing! 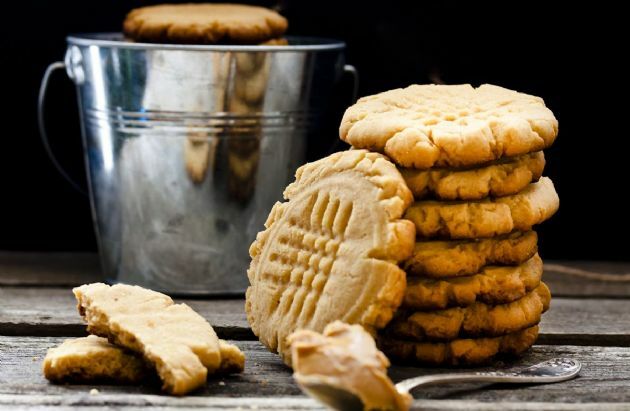 Creamy & full of peanut butter flavor, they'll hit the spot for your sweet-tooth cravings! Put all 4 ingredients into a medium size bowl. Mix thoroughly until well blended. Roll dough into walnut sized pieces, and place on a greased cookie sheet. Dip a long-tined fork into a small bit of splenda, and press into the balls making cross hatched design. Cook for 12 minutes & move to cooling rack. Dust with splenda & cool. Store in an air-tight container.